Obafemi Awolowo University, OAU cut off mark for the 2018/2019 academic session admission exercise. If you scored exactly or above OAU cut off mark, that means you are qualified and eligible to take the Post UTME screening exercise, and getting marks below cutoff means you are not eligible or qualified for OAU post UTME. Obafemi Awolowo University (OAU) is a federal government owned and operated Nigerian university. The university is in the ancient city of Ile-Ife, Osun State, Nigeria. The university was founded in 1961 and classes commenced in October 1962 as the University of Ife by the regional government of Western Nigeria, led by late chief Samuel Ladoke Akintola, and was renamed Obafemi Awolowo University on 12 May 1987 in honour of Chief Obafemi Awolowo (1909–1987), first premier of the Western Region of Nigeria, whose brainchild the university was. 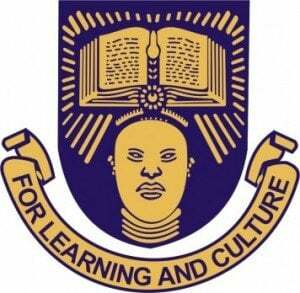 The management of the Obafemi Awolowo University (OAU) has released the cut-off mark for the 2018/2019 academic session admission exercise. Only the candidates who made the Obafemi Awolowo University, Ile-Ife their first choice in the last UTME and scored 200 and above are eligible for the screening exercise. OAU Post UTME Form . please what’s the cuttoff-mark Music student.